Turnover is vanity; Profit is sanity. But in the event industry, turning an investment into profit asks for more than just your sanity. You need to watch all the nooks and corners, all data and figures, all surveys and forums before you dig out event industry’s golden mine. Events will go high in all respects in 2018; celebration, organization, entertainment or revenue. No doubt that the event planner’s balance-sheet will see seven-digit figures, but it is also true that they will see this with a slight wobble in their budget. However, 2018 will remain a promising year for the event planners that’s what expert says. While the event’s trend is transforming from the monotonous event into experiential one. Event planners wished that they would have a testified Nostradamus prediction of their events to escape the profit and loss semantics. On the other hand, the audience inclination towards AR and VR technology has given green signal to event planners to try some more experiment in 2018. It will create more business opportunities, but with little monetary risk. So, it is worth to know which events can give wings to event planners to enjoy financial freedom. To claim exact prediction on what event trend would look in 2018 is little tricky. But with aggregate statistics and survey reports it is possible to comprehend what it will hold for event planners. 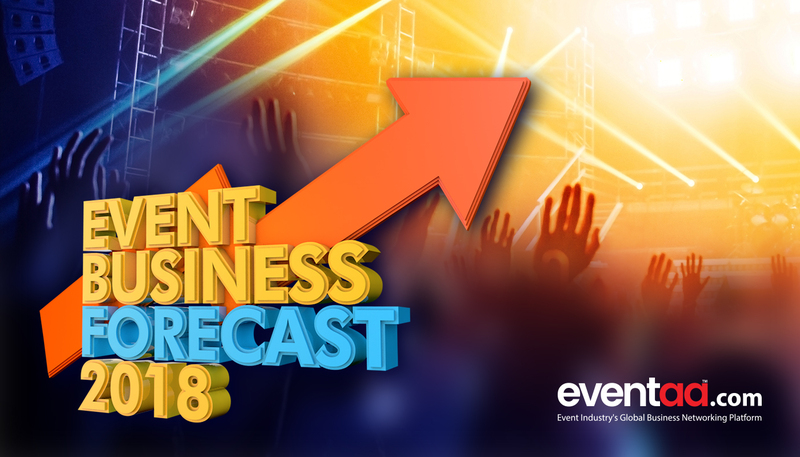 Let's review some analytics reports for various events to check the trend of event industry in 2018. 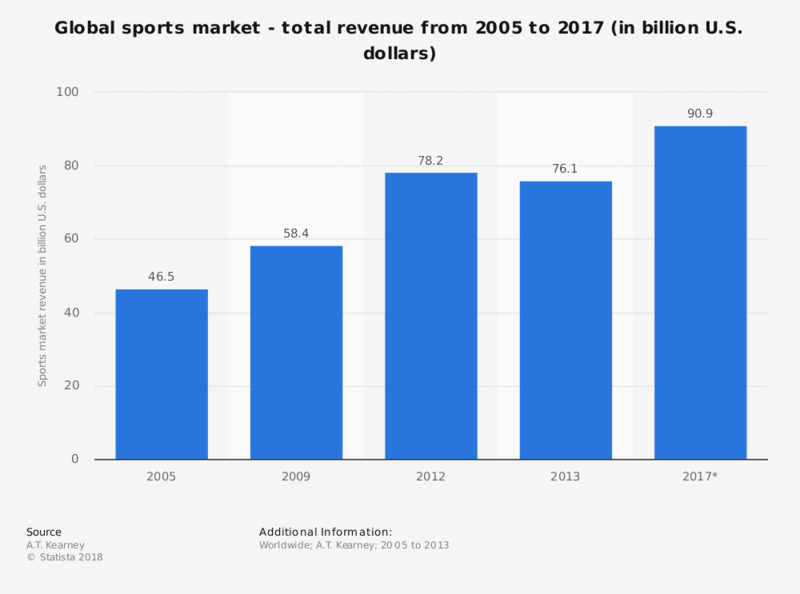 Sports events, statistics from the year 2005 to 2017 elucidate the rose of revenue from 46 billion dollars to 90 billion dollars in 2017 worldwide (see chart below). The growth is almost double in a decade and expected to see the same increase in 2018. It is estimated to cross the 100-billion-dollar mark, which is a mammoth. Event planner would not like to take their eyes off this significant opportunity. Beside outdoor sports, Esports are making their foothold firm in the entertainment business. The corporate and indoor event planners are rigorously bringing Esports into their events to entertain attendees. They make event interactive by organizing the competition or multiplayer game between event attendees. Corporate events are not organized in a nutshell anymore, they have gone more vibrant. They have learned to complement events with the latest trend and technologies like 3D projection mapping, specialty shows, and large-scale projection. Given that attendees attraction towards the event is undoubtedly going to increase, eventually which will leave event planners collecting some serious cash. This growth trend is not observed just in the western part of the world but also in Asian countries. Ernest and young predicted that the events and the activations industry in India alone are expected to cross Rs. 10,000 crore marks by 2020-21. The majority of the segment that will contribute in this figure includes digital activation, product launches, sports leagues, rural expansion personal events, and other government marketing. 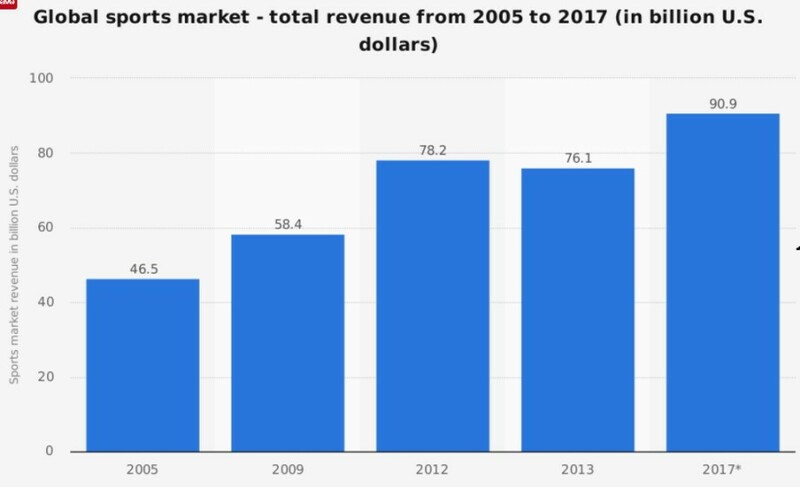 This figure looks quite realistic when you see below survey report of the revenue generation for trade-shows in India. It is expected to achieve revenue up-to 1200 million dollars by 2018. In 2018, tradeshows that will stay low on revenue collection will be social events, government exhibition, charity events, science exhibition, etc. compared to others. U.S and Europe are the Mecca of music festivals and live concerts. They are the leading contributor to total revenue for the event industry. The world-famous Coachella festival this year not just witnessed people in numbers but also in revenue. A whopping $114.6 million was cashed-up by the dawn of the closing ceremony. 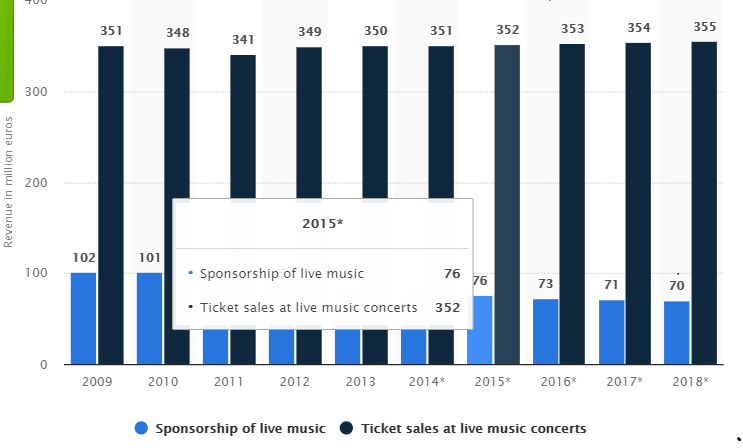 This figure indicates that Music festivals and Live Concerts will be predictable in its gross profit generation in 2018 as well. The ticket sale for Coachella 2018 already in its last session indicates that the live concert will stay on the chart of the top revenue making events. Event planners usually distribute their revenue somewhat in this pattern-- 50% from Ticketing, 40% from sponsorship and the rest from others like crowd-funding. 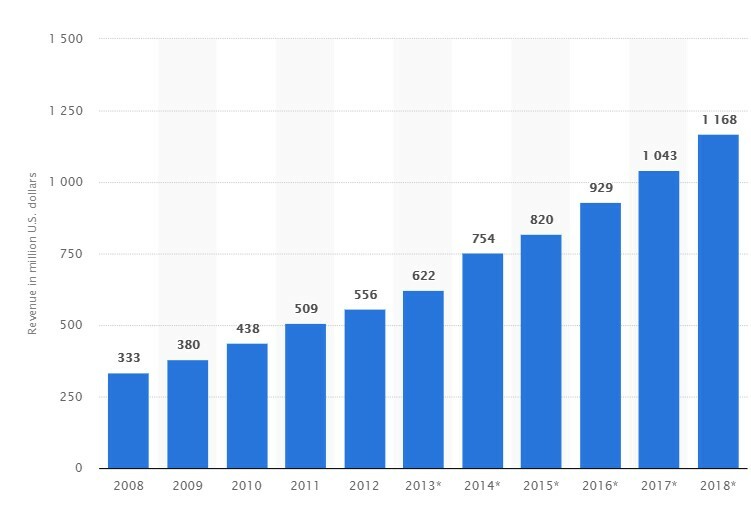 See below graph, and it indicates how steady the sales of ticket throughout 2009-2018 for live concerts in Spain’s. The pattern signifies the profit of event-planner for the year 2018 as well. The revenue generated is around 350 million euros. Also, the profit is eminent for event planners during such live concerts as side activities like Yoga classes, Art-shop, Food court and beverages, are growing at equal strength. It helps to add revenue on attendees and sponsorship. The wedding event is hit worldwide. 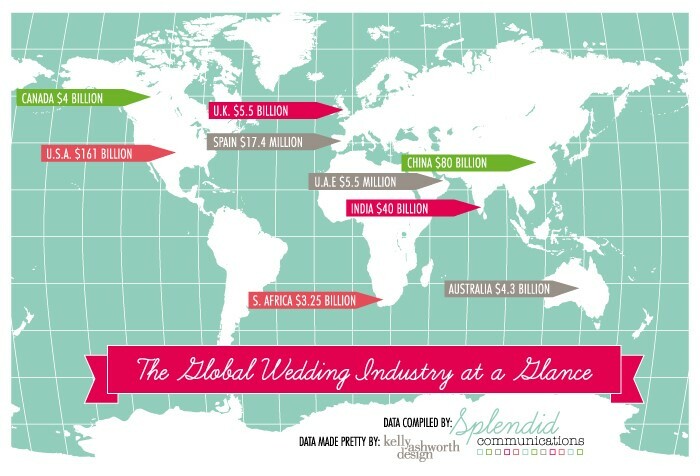 Some of the big spender on wedding Events are India, China, and U.S.A. When it is about wedding events, all eyes are on big fat Indian Weddings. The Indian wedding market account whopping Rs. 100,000 crores, beating all other events with a large margin and is growing at 25 to 30 percent annually. At the same time, India’s well-known Media group ZEE have estimated that Indian wedding Industry is about Rupees 2 lakh crore including small and big wedding events. The add-on activities related to wedding events like floral décor, catering service, bridal apparels, etc. are the extra credential for generating revenue in wedding events. Indian wedding is not flourishing just in India but also worldwide, and wedding planner from U.K support this fact. These statistics have not reached its peak yet with destination wedding falling in line. 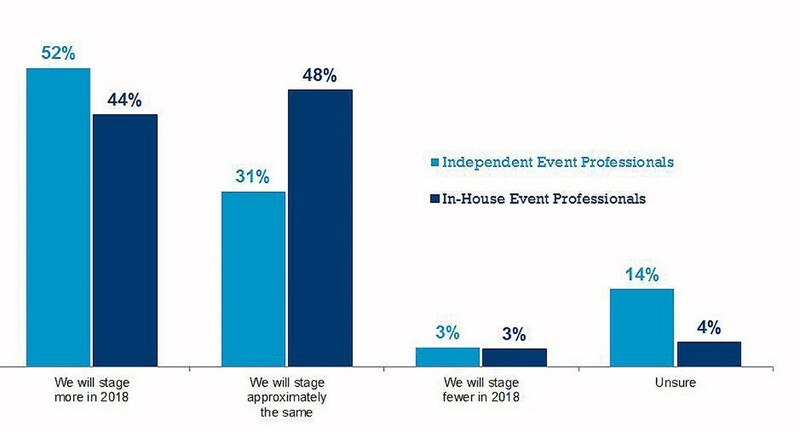 In 2018, it is expected that independent event professional is expecting event revenues up to 60%. It means that small-scale in-house and pop-up party events will grow in 2018. With the deployment of smart app and event’s software, it would further become easy for small-scale event planners to maximise event revenue with minimum staff. If you segment corporate events- they are distributed into trade-shows, exhibitions, and conferences. They are all high-profit hoarding events, but there are few things that event planners have to be watchful in 2018 to not lose revenue. Also, a recent survey from CEIR tells that in last quarter of December 2017, there was a drop seen in revenues for the overall exhibition industry. Even there was a remarkable presence of attendees the sector failed to attract exhibitors and revenues. However, the good news is that CEIR also announced that the above statistics were only for last quarter of December 2017 and the overall growth in the coming year is expected to grow at 2.4%. But it is a red signal for event planners to revise their event planning strategies and skills. Numerous factors have caused the downfall in the above scenario. 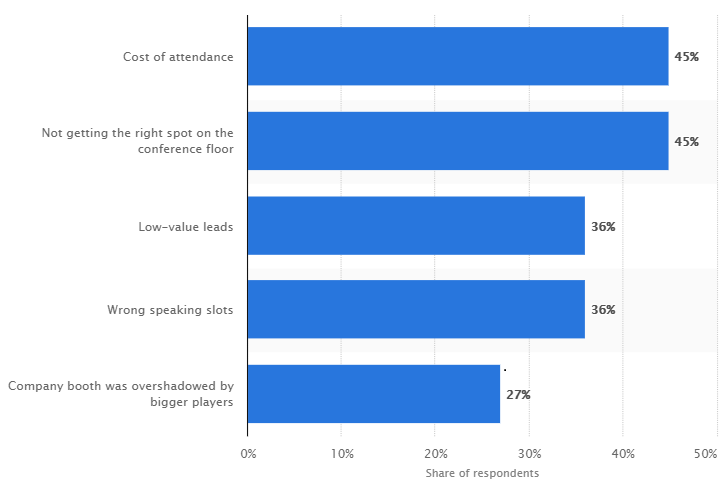 The survey tells that the factors that put off the marketers from attending the events in 2017 were Cost of attendance, not getting a spot on the conference, wrong speaking slots, booth overshadowed by big players, etc. So, for better revenue, its recommended not let go marketers disappointed. This could be a concern for event fraternity in 2018 as airfare and hotel price is expected to increase, which could further affect the exhibition revenue. So, event planners that are solely informative have to change their trend towards “experiential” event; an expert believes that the long blocks of exhibition tables are now converting into interactive booths. What’s your prediction in 2018? The above prediction is at the advent of intense research. However, the foresight is subject to variation, and a lot of other factors could bring fluctuation in the result. If you think, more factors could be a key player in determining the overall industry revenue then pitch your comment right now. very insightful blog. worth reading.